Product prices and availability are accurate as of 2019-04-26 06:34:59 EDT and are subject to change. Any price and availability information displayed on http://www.amazon.com/ at the time of purchase will apply to the purchase of this product. La Roche-Posay acne treatment system contains multiple ingredients to target the major causes of acne as observed by dermatologists. System includes, Effaclar Medicated Gel Face Wash (3.4 Fl. Oz. ), Effaclar Clarifying Solution Face Toner (3.4 Fl. Oz. 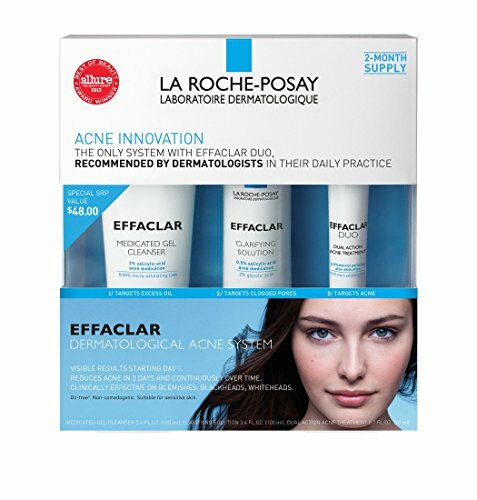 ), Effaclar Duo Acne Treatment (0.7 Fl. Oz.). Step 1. 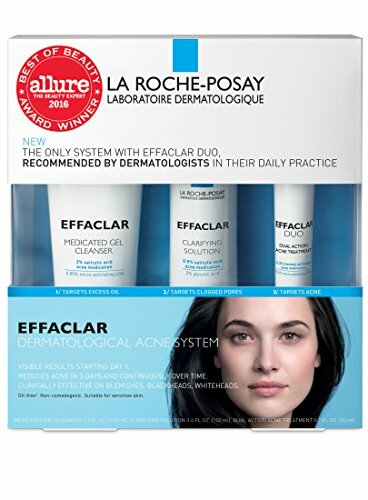 Target excess oil with acne wash Effaclar Medicated gel cleanser - [2.0%] Salicylic Acid Acne Medication face wash fights acne breakouts. Exclusive micro-exfoliating Lipo Hydroxy Acid helps target oily areas on the skin surface to provide precise cell-by-cell removal of debris and dirt. Step 2. 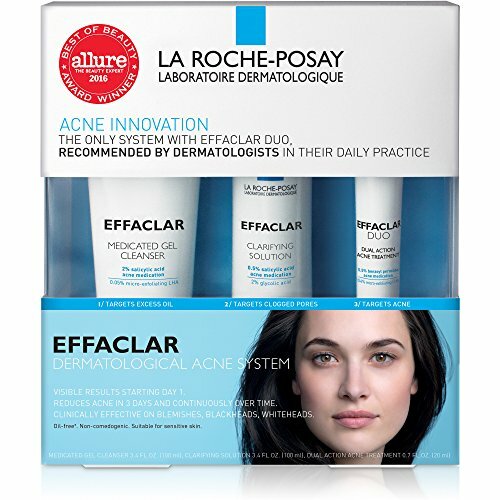 Target clogged pores with acne facial toner Effaclar Clarifying Solution - Glycolic Acid penetrates deep to unclog pores and smooth skin texture. [0.5%] Salicylic Acid Acne Medication helps to clear blackheads, whiteheads, and acne blemishes. Step 3. 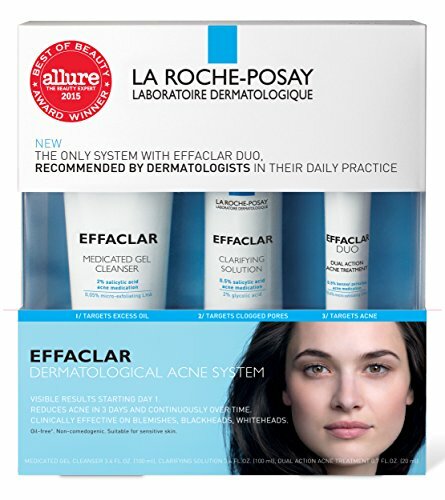 Target blemishes with acne cream Effaclar Duo dual action acne treatment - [5.5%] Micronized Benzoyl Peroxide Acne Medication penetrates deep into skin to fight all types of acne blemishes and pimples. Exclusive Micro-Exfoliating Lipo Hydroxy Acid provides precise cell-by-cell exfoliation to smooth skin texture. Recommended for acne treatment, blemishes, blackheads, and whiteheads.